Discussion in 'Camping World Truck Series Paint Schemes' started by nj9703, Feb 7, 2018. Is the liberty tax base painted on? That’s the only reason I can see for using it on every scheme. Amazing what flames do for a scheme. 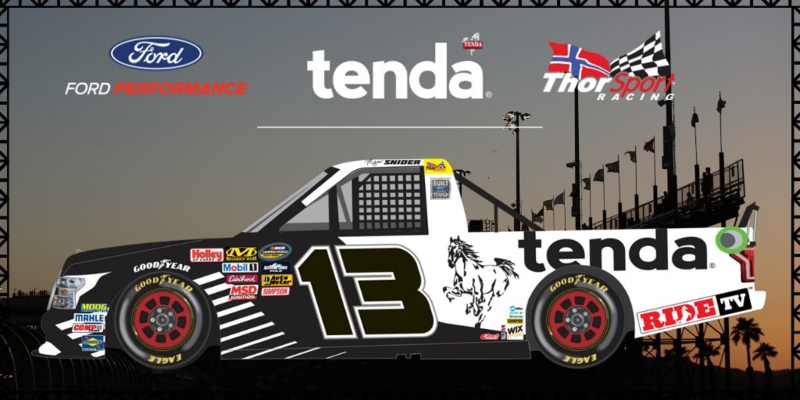 Tenda joins on board as primary for the last two races of the season. thedude1987 and BrendonH12 like this. Whatever happened to Liberty Tax? beginning of the season sponsor since it had 5 or 6 races during tax season. They sponsored 4 races (Daytona, Atlanta, Vegas I, Martinsville I) during tax time.